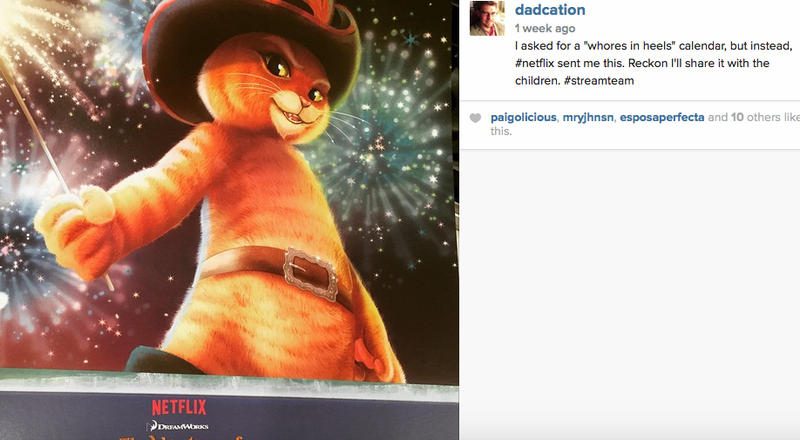 I didn’t actually want a “whores in heels” calendar, but I didn’t actually want a “Puss in Boots” calendar, either. I was confused. My 8-year-old, on the other hand, was not. the 8yo: Can I take that to school with me? 8yo: My teacher will LOVE it! Me: You’re kidding, right? Please tell me my property taxes aren’t facilitating your spending 5 days a week with someone who admits to loving a cat that wears shoes. Apparently, the local 3rd grade teacher does, in fact, love Puss in Boots, and now she has a Puss in Boots calendar on proud display in her classroom and has referred my 8-year-old for the “talented and gifted” (“TAG”) program. 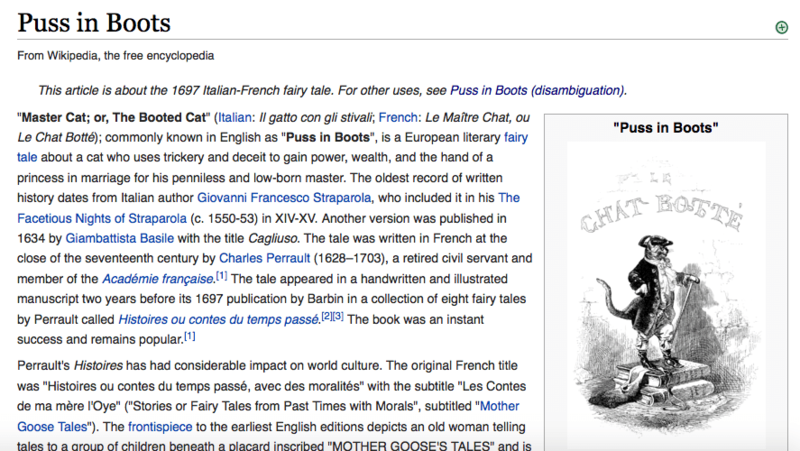 Since my own experience with a cat with shoe coverings comes only from its appearance in one of the “Shrek” films (best I can recall…I saw 1 or 2 of them at the theater but haven’t watched them again), I decided to do some research. So, it’s about a cat that uses trickery and deceit to gain power, wealth, and a princess’s hand? I’m not sure what it’s about, but my 3 children love it. From my limited exposure to the cartoon, some of the humor is over their heads, but it seems to be amusing and relatively tame entertainment for them. Plus, it makes them laugh out loud, and laughing children is a sound our home is always happy to welcome. I bet yours welcomes it, too. I’m glad to see Netflix is creating more and more original content for children, and I’m happy my 8-year-old gets to hang out with the smart kids in TAG once a week. If I have to express gratitude to a deceitful feline for these things, then consider yourself thanked, Mr. Puss in Boots. Keep it up.